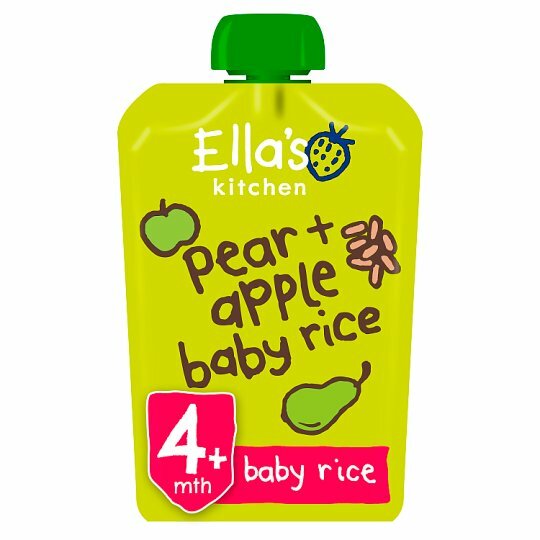 Hello, I'm 100% organic pears, apples + baby rice with a dash of lemon juice - with nothing else added. Who am I for? My ingredients are suitable from 4 months. I'm a handy baby rice and fruit mix, ideal for first tastes and also great for hungrier babies. The Government advises that you don't need to wean your little one until they are 6 months. Every baby is different! Keep me in a cupboard. Once opened, I can be kept in the fridge for up to 48 hours.